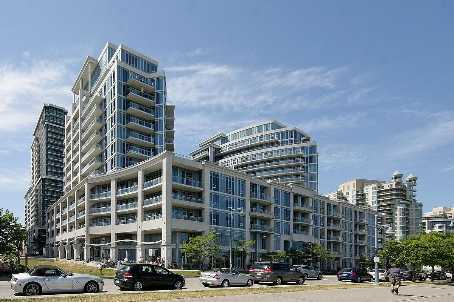 58 Marine Parade is a condominium located at the Humber Bay Waterview Community. Each unit features 9-foot ceilings and ranges from 600 sq.ft. to 2000 sq.ft. It is conveniently located minutes from downtown at Parklawn Road and Lake Shore Blvd West. Jump on the Gardiner Expressway and be on your way. If you like walking, running or biking than this is the condo for you. Just steps outside 58 Marine Parade, there’s the Waterfront Trail and Humber Bay Park. Units with south and east exposures has views of Lake Ontario. Studio units start at $219,000 for sale. One Bedroom units start at $280,000 for sale. One Bedroom + Den units start at $420,000 for sale. Two Bedroom units start at $630,000 for sale. Two Bedroom + Den units start at $890,000 for sale. Categories: Toronto Condos | Tags: 58 marine parade, 58 marine parade drive, affordable condos in toronto, cheap condos toronto, condo humber bay park, condo waterfront trail, downtown condos for sale, etobicoke condo, etobicoke conds for sale, explorer 1, explorer 2, explorer monarch, first time home buyers toronto, humber bay waterview condo, lake ontario condo views, M8V4G1, monarch condominiums | Permalink.